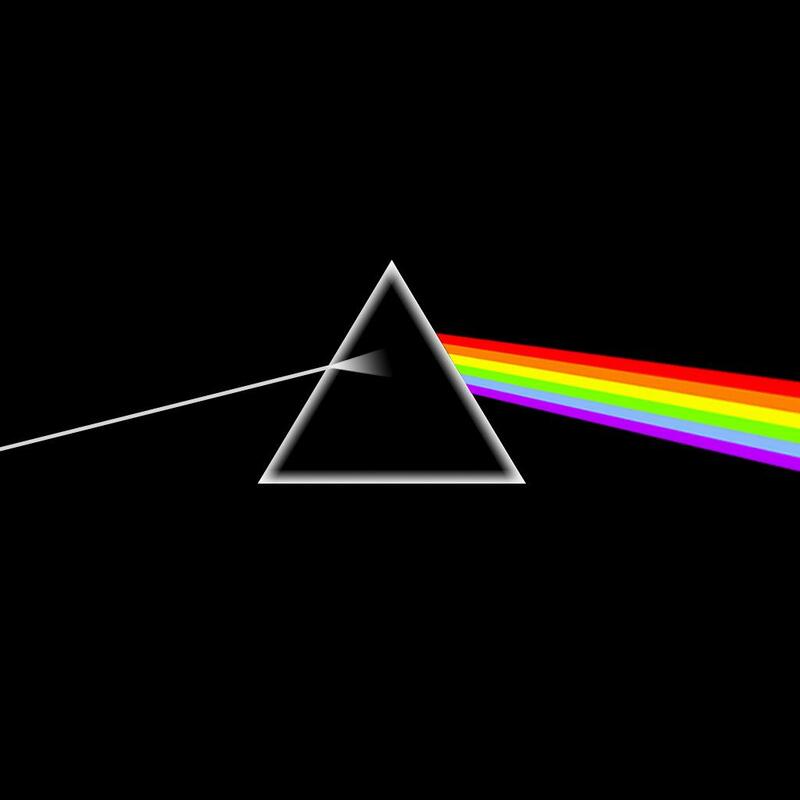 Unweave a rainbow”- John Keats. Despite the resurgence of religious fundamentalism in modern life, there has been little thought given to the phenomenon in regards to its place on the political spectrum. Although it is tempting to classify it as a conservative or revolutionary movement, such a dichotomy is false. Fundamentalism seeks to combat the rationality of the current epoch by reconstructing a grand narrative of the past. This is achieved through the adoption of a selective and revisionist interpretation of ‘sacred history'. In generating this fabricated mythology, fundamentalists are able to restructure group identity so that it can be used instrumentally against the ‘other’. With this in mind, this post shall conclude that although religious fundamentalism may be considered diagnostically reactionary, the means of accomplishing its objectives are revolutionary. To prove such a sweeping hypothesis to you, dear reader, we shall examine the following in the course of this post: poetry, over-extended optics metaphors, the high-school syllabus of the Subcontinent and the vicissitudes of African Jewry. Why does fundamentalism exist now? To determine how political consciousness is fashioned and the nature of any resultant collective action, it is necessary to consider the injustice that fundamentalism seeks to respond to. Injustice is a “moral indignation that manifests itself in popular movements and provides the imperative for the movement’s existence." As such, fundamentalism can be viewed as a symptom of a wider rejection of progress, particularly the rational systems of science, secularism and post-modernism that necessarily threatens religion’s historic monopoly on ‘truth’. The demystification and perceived dehumanizing associated with the Enlightenment create an existential hazard to the fundamentalists’ inherently mystical worldview or, according to Keats’ inimitable charge, unweaving the rainbow by deconstructing it to mere “prismatic colours." Fundamentalists argue that such scientific reductionism demeans God and life. Fundamentalists also reject the neutrality of scientific reasoning and instead replace it with a moral element, thus adding an extra layer of religious significance to the causation element of events, something that is inherently neutral. This added meaning applied to causation is due to Abrahamic fundamentalists’ unwavering belief in an omnipotent God – i.e. if God could stop something from occurring, then there must be an implicit reason for Him to allow the event unfold and vice versa. 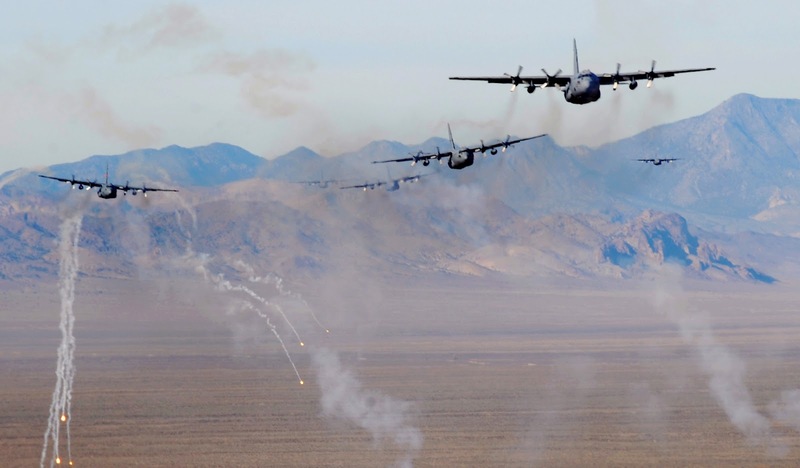 For example, the Westboro Baptist Church does not attribute the deaths of American servicepersons to the immediate cause of battle, but rather the normative cause is the United States acceptance of homosexuality. To mobilize support for their political agenda to right the injustice of modernism, fundamentalists also seek to create a group identity; specifically, by a process of defining the collective against the other. The primary means of creating identity is the reconstruction of mythos. Mythos, according to Lévi-Strauss, is a body of highly sophisticated cultural artifacts that imprints the outlook of the myth’s creator onto the broader pattern of life. In the context of fundamentalism, such myths justify the creation of ‘sacred history’. This combination of myth and history creates a powerful symbol that gives meaning to existence and also a sense of identity through collective experiences and memories. Essentially, religious myths distill the phenomenon of the universe into simple and easily digestible narratives. The ‘sacred history’ itself unified groups of people through the acceptance of religious mythos. Therefore, when such myths are threatened by the gradual acceptance of modernism, fundamentalism meets the threat by “a selective retrieval and innovative reworking of doctrines form the past… which leads to a political program for the transformation of society in the future." The reworking of ‘sacred history’ is facilitated by an infallible sacred text that acts in a manner reminiscent of Kelsen’s Grundnorm – an indivisible point of origin that legitimizes all fundamentalist doctrine. The investing of divine power that sacred texts permit to religious leaders gives them a unique ability to declare what ‘is’ and ‘isn’t’ knowledge by reference to a higher realm. Simply, as stated by Anderson, such religious communities saw themselves at the centre of a Ptolemaic universe, linked to a super-terrestrial order through the past. Using the group identity afforded by ‘sacred history’ instrumentally, fundamentalists are able to place the modern epoch into the broader historical pattern that they have doctored, thereby allowing them to re-narrativize and re-characterize modernity. In doing so, fundamentalists not only create a different historical point of reference from which to assess the present (which necessarily alters a people’s estimation of it) but also enables fundamentalism “to fabricate a discursive space in which they can breath easily” from the pressures of modernism. An example of such a powerful, instrumental use of ‘sacred history’ in times of identity crisis can be seen in the historiography of Islamic and Hindu fundamentalists in Pakistan and India. 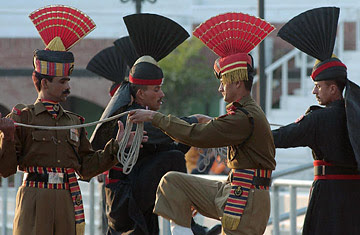 Due to the culturally and historically dubious divide between Pakistan and India, as highlighted in the conflict over Jammu and Kashmir, Pakistani fundamentalists have felt the need to justify their claim of ownership over this region by recasting and ‘correcting’ the past. By selectively reclaiming certain historical events and then incorporating them into the syllabus of compulsory Pakistani Studies in high school, the Muslim government attempts to manufacture and institutionalize an artificial sense of collective attachment to Kashmir. Through encouraging the mixing of historiography and hagiography in relation to controversial characters such as Mahmud Ghaznavi, an Afghan Sultan who brought Islam to the subcontinent, Rosser argues that Islamic fundamentalism is given an exaggerated role in the narrative of the South Asia in order to “disassociate” Islam from Hindi culture for political purposes. Agency, the possibility of empowering individuals to modify the status quo through collective action, stems from a belief that God must be the shared, communal medium through which humans experience and value life. However, in light of the identity aspect of religious fundamentalism, a problem arises: how can God be universalizable if one’s interpretation of it is based upon a bespoke ‘sacred history’? Kołakowski recognised this when he reasoned that, “myths are not translatable into a non-mythical tongue." Simply, fundamentalism is idiomatic. To overcome this obstacle to broader appeal, fundamentalism seeks to enlarge group identity to the point that all peoples are capable of sympathizing with their worldview. Such a unique goal creates a paradox in traditional political sciences – viz. fundamentalism is a nationalist movement sans frontier. By dismissing state boundaries as inconsequential and instead emphasizing the transcendent nature of religion, fundamentalists are able to manufacture a revolutionary variety of internationalist nationalism where the orthodox commonality of race or citizenship is replaced with religion. A benign example of this operating in more mainstream religious life can be seen in the Law of Return policy of Israel that grants Jews of any state the right to return to Israel and settle with citizenship. Operation Moses, Operation Sheba and Operation Solomon (מִבְצָע שלמה‎‎) provide stark examples: in each task, the Israeli government selectively repatriated Ethiopian Falasha Jews from East Africa to Israel during times of crisis in the early 1980's whilst leaving other religious groups behind. The somewhat dubious connection that the African Falashas' have with the promised land of 'milk and honey' did not deter the redoubtable Israeli Airforce - in under 36 hours, primarily under the shroud of a moonless East African night, tens of thousands of Ethiopian Jews were removed from their country and loaded into forty C130 military transports and 'returned' to Israel. The use of the word ‘returned’ in particular indicates an instrumental use of ‘sacred history’, as the Falashas’ claim to have a historical connection with Palestine is tenuous. At the operations' completion, the population of Israel had increased by around ~2% (according to this author's undoubtedly questionable grip on maths). Such an example illustrates the absurdity of 'sacred history' to those of us who are outside the self-defined identity group. Religious fundamentalism reveals itself to be a reactionary social force as it wishes to combat the way in which science and secularism has reduced life to its explicable, non-mythical elements. As such, the fabrication of a ‘sacred history’ gives fundamentalists a method of sheltering their beliefs from the threat of modernism whilst forging a sense of identity. However, although it is superficially appealing to label fundamentalism in its entirety as right wing, the agency of this movement is distinctly revolutionary as it creates a novel form of pan-geographical nationalism. At its core, fundamentalism seeks to rebuild Keats’ shattered rainbow by rejecting progress in favour of an idealised 'state of enchantment'. Alexander O'Hara studies at the University of Queensland where he reads Arts/Law. He has a fondness for political science, books, art and music. Alexander is an avid debater, traveller, and café squatter. Professor Michael Sandel is quite the philosophical superstar; his course on Justice at Harvard University – now available online and for free – has been viewed by millions. Compared with your average, sleep-inducing university lecture, Sandel’s course makes for compelling viewing. In 2009 he delivered the BBC’s Reith Lectures on ‘A New Citizenship’ to great acclaim. He is, without question, a brilliant communicator and a stirring intellectual. 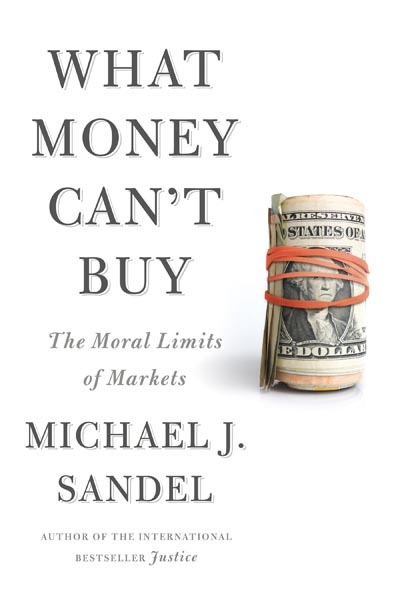 In his latest book, ‘What Money Can’t Buy: The Moral Limits of Markets’, Sandel takes a prod to our fetish for markets and the rising tide of commodification. Some things should just never be sold, he argues, because doing so degrades and corrupts goods that are best understood in non-market terms. - A prison cell upgrade: $82 per night. In Santa Ana, California, and some other cities, nonviolent offenders can pay for nicer accommodation – a clean, quiet jail cell, away from the cells for non-paying prisoners. - The services of an Indian surrogate mother to carry a pregnancy: $6,250. Western couples seeking surrogates increasingly outsource the job to India, where the practice is legal and the price is less than one-third the going rate in the United States. - The right to shoot an endangered black rhino: $150,000. South Africa has begun letting ranchers sell hunters the right to kill a limited number of rhinos, to give the ranchers an incentive to raise and protect the endangered species. - Stand in line overnight on Capitol Hill to hold a place for a lobbyist who wants to attend a congressional hearing: $15-20 per hour. The lobbyists pay line-standing companies, who hire homeless people and others to queue up. - If you are a second grader in an underachieving Dallas school, read a book: $2. To encourage reading, the schools pay kids for each book they read. Sandel’s book is great value for its panoply of jaw-dropping and often hilarious examples alone. The ones I’ve outlined here are by no means the most unusual (for the truly tragic, wacky and outrageous, you’ll have to get yourself a copy of the book). Take the phenomenon of hired line-standers. What should we make of this practice? My guess is that most people would think that paid line standing, at least on Capitol Hill, is objectionable. But why? One reason is that Congress is a democratic institution, and when well-heeled lobbyists buy their way into hearings, it undermines the public nature of the forum. If allowing this practice would make congressional hearings the exclusive purview of the rich, I think we’d have a pretty good reason not to allow it. In his book the ‘The Gift Relationship’, the British sociologist Richard Titmuss showed that paying people decreased both the quantity and quality of blood that a blood bank would receive (unless a very large amount of money was at play). The payment converted what had been a donation into a transaction, and eroded the moral aura that had been associated with the act. A market culture, just as here, changes how we view a whole multitude of goods, and not always for the better. 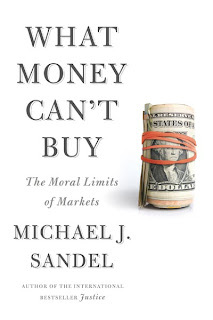 Sandel walks a fine line in this book between playing the moralist, and the conversation starting provocateur. It’s difficult to know which examples he supports and which he doesn’t. Let’s take another one from above: paying $150,000 to kill an endangered black rhino. No doubt there is an emotional knee-jerk, or ‘yuck’ reaction against this. It seems base, or uncouth, to kill such a beautiful creature if the only reason is that it’s for what might, generously, be described as ‘sport’. But it’s not clear why we shouldn’t allow it if it does in fact lead to less black rhinos dying overall. The empirical evidence Sandel discusses indicates that it has indeed had this effect; the new monetary incentive to preserve rhinos has been, apparently, enormously effective. If what we care about is outcomes, we should (assuming there are no viable alternatives) allow the hunters their bloody indulgence. I’m not convinced by Sandel that we need to philosophize to figure out the ‘nature’ of goods. We can, and should, be less highfalutin and more consequential in our analysis. A decision not to allow something to be sold is best reached after concluding that doing so will have bad consequences, not because it is somehow inconsistent with it’s ‘nature’. Sandel is right to challenge the market fundamentalists, but I am concerned that he seeks to replace it with a fundamentalism of his own; namely that some things should just never be sold, no matter what. It is in enunciating the various ways in which market culture has degraded and debased society (most particularly in the United States), and in its vigorous call for a more robust public debate, that the value of this book chiefly lies. Sandel is never less than highly entertaining, and even if you don’t agree with him, this book won’t fail to induce some seriously enjoyable cogitation. Here is an interesting interview of Sandel on this book. And for those who haven’t heard of his course at Harvard on Justice, it is well worth taking a look. William Isdale is a law and arts (politics and philosophy) student at the University of Queensland, where he is an Academic Excellence Scholar and TJ Ryan Medallist and Scholar. He is the President of the Australian Legal Philosophy Students' Association and Editor of the Justice and the Law Society's journal 'Pandora's Box'. In early 2012 he was a visiting student at Oxford University's Uehiro Centre for Practical Ethics. Markets are often described by economists in an almost messianic way- as if they alone will solve all of the world's problems. Now, it is worth noting that markets do a great many things well- they can be great democratisers (in the sense that they in principle allow for a levelling of the playing field), they are often better at distributing resources than a centralised economic instruments and they are more free of rent-seeking and political influence than command economies. However, something they certainly are not is natural- they are like anything else institutions, Douglass North's 'rules of the game' or 'humanly devised constraints on action'. Indeed, as Polanyi claimed what has really happened is a Market Society (for anyone interested in a more in-depth look at this idea I recommend Polanyi's The Great Transformation) has been created: a combination of market exchanges, industrial production and hedonistic consumption. In this blog post, I will briefly chart how this is different from the mainstream economic account of what market mechanisms are, before briefly posing some conclusions on how this might affect modern development policy (looking particularly at the experience of Russia in the early 90s). The key difference I posit is that along Polanyi's lines, markets are embedded in the social and cultural relations of a society, rather than existing as a separate mechanism alongside them as neoclassical economics assumes (actually neoclassical economists mostly just seem very disquieted whenever the word 'culture' is mentioned). 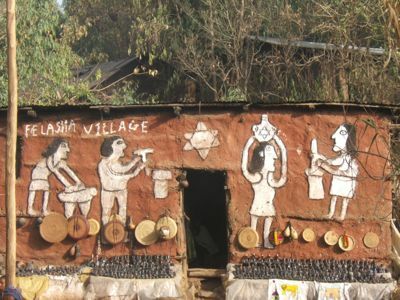 Markets used to be largely places where often subsistence-based farmers, tradespeople or originally small-scale settlers or tribes would get items they needed but didn't have or couldn't produce from other people. They were often ad hoc, sometimes based on barter and very much not interconnected- prohibitions both religious and social against profit-making ('usury') were followed to various degrees. Modern capitalism changed all this. Modern market exchange is predicated on the idea that commodities have value because of the relationship between things, especially in terms of the translation into a monetary value. Trade is predicated on the substitutability of unlike goods and each participant having a different scale of values in order to produce mutually beneficial trades. Markets have to be embedded and naturalised within society, that is markets must have “institutedness”. As Polanyi observes, ‘free markets’ are instituted processes that must be articulated through social, legal and political strategies. This system of exchange is predicated on social acceptance, which is why Western development projects often include help setting up market economies, as a ‘charitable’ venture. Therefore, when confidence is lost in markets they cease to function and as a test of this hypothesis, the exchange system should also fail. This occurred amongst the Nentsy people of Northern Siberia when the bank accounts the Soviets had given them became valueless due to the depreciation in the value of the ruble in the early 1990s. As predicted, the herders switched from buying consumer goods off the Russians back to solely reindeer herding. Markets did not become successful because barter inherently transformed into modern capitalism- indeed as Polanyi notes, the really curious thing about laissez-faire capitalism is how planned it was- it needed helping although through establishing private property rights, creating and then dismantling large monopolies (like the East India Trading Company) and a change in attitudes to wealth accumulation, which brings us to consumption. Value in cultural terms is defined by how people expect the world and people in it to behave and how they judge that behaviour. The value of wealth accumulation has changed from the medieval view of public virtue arising from private virtue to the formal economists’ idea that public virtue can arise from private vice. Associated with this has been a popularisation of modern hedonism, characterized by the creation of cultural value in the self-conscious seeking of personal pleasure. These concepts have spread widely to the point where self-interest is taken for granted in most of modern Western society and through global media, much of the world. Consumer goods are in Western society associated with 'commodity aesthetics' in which people ascribe value solely on the basis of design or promotion. 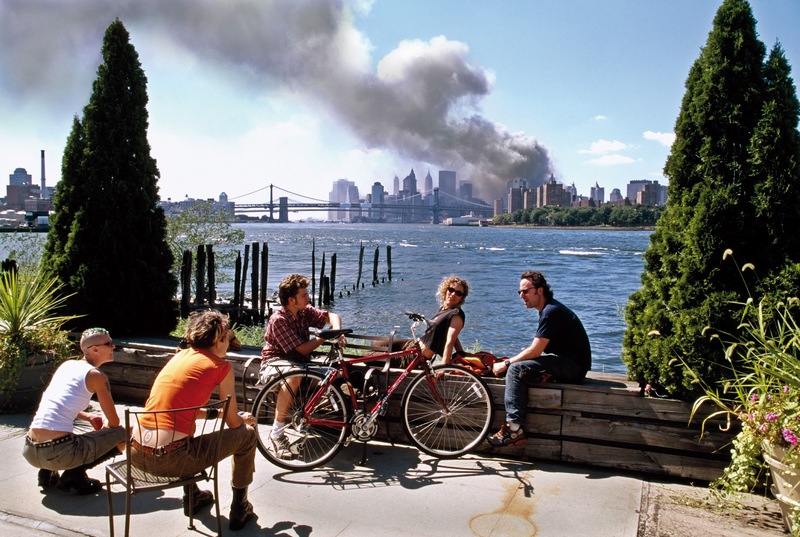 Companies have sought to create a 'hyperreality' (Baudrillard) or an aesthetic coating of the world that seeks to use images to generate a market-based society. Companies have also successfully in many cases proselytised to the developing world, for example a Power Rice Ad that was run in Papua New Guinea that was synchronised to the soundtrack recording of “Power to the People!” and featured a muscular man lifting the rice at a construction site. Foster also charts the rise of beauty contests and other competitions that serve to reinforce that cultural capital is to be gained through individual choices (see Materialising the Nation: Commodities, Consumption and Media in Papua New Guinea by Robert Foster). This is also related to what Jonathan Friedman calls homo consumens, "whose fragmented identity is constantly rearranged by the winds of fashion". But how is this all made? Production is driven by the demands of the market, with an emphasis on creating surplus to trade with others and where the value is determined by what others will exchange for them. Perhaps the defining feature of the capitalist mode is its tendency to reproduce itself on an increasing scale. Production is also changed from previous reciprocal or household modes of production, because who makes the product is now irrelevant- i.e. all goods can at least hypothetically have their value translated into a monetary one (this is quite different to say the Kubo system where who gave you the pig is more important than the pig's 'worth' to you). Capitalism also means that production is no longer autonomous- capitalist production is the most interlinked of any economic system. Finally, high fidelity is ensured by industrialised production technologies, which can produce millions of copies of the same good (this is a key difference from say craft-based economies). All of the claims I have made so far are what economists call 'positive', that is I've tried as hard as possible to make factual claims about what is not what should be (by hedonism for example, I do not mean a Catholicesque value judgment, I just mean the pursuit of individual pleasure). Now I will try and draw some tentative policy conclusions from what I've written. The first is that we should not expect markets in the third world to just spontaneously exist- governance needs to get better before the 3rd world can open up to trade more fully and before those countries can actually prosper. In particular, Chicago School style 'shock therapy' is an appalling idea because weak economies with markets that are barely embedded in society will just collapse- witness Russia in the early 1990s. There is a role in international NGOs and other aid providers to tie further aid to institutional improvements- also Western governments should help here rather than just prescribing more of the 'Washington Consensus'. The second is that the continued survival of markets means that institutions in every country have to be kept strong- there is a role for government policy in other words to stop the collapse in social relations that Polanyi discusses (though I obviously disagree with Polanyi's solution, which is to transition to either socialism or economic democracy). The last is that while international finance and other forms of globalisation are breaking down national boundaries, there will be a continued role for nation states in the future to regulate these issues and that they will require a truly international response. I would also make the empirical observation that economics needs to study these issues more- it should not be left to sociologists and anthropologists to fix up huge gaps in modern economic theory.